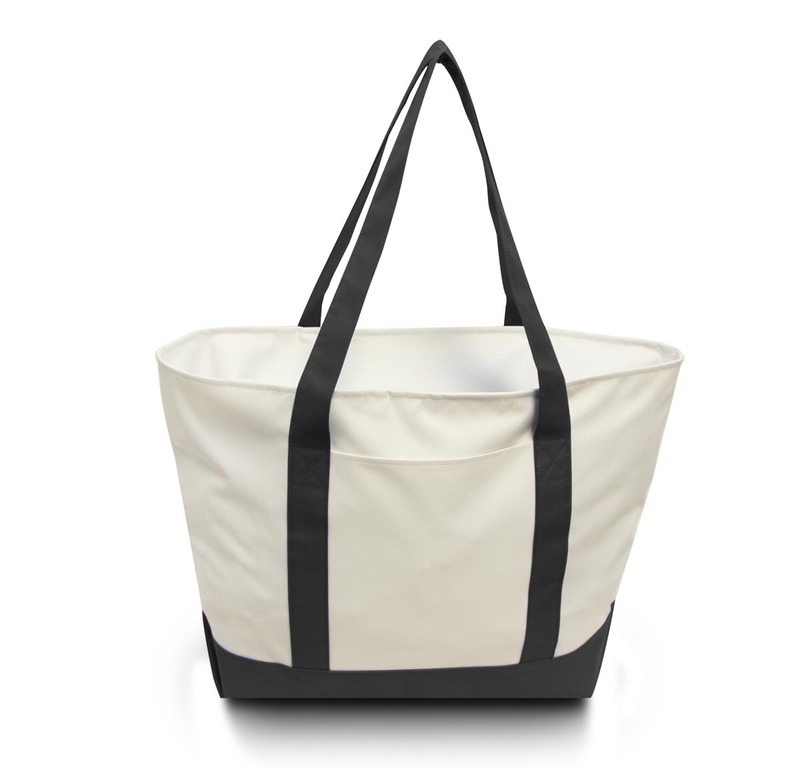 Boat Tote with Contrasting Handles. - Contrast handles and trim. - Interior accessory pocket and key fob. - Stands upright with a flat bottom. - One Size: 22.5" x 15.5" x 7". 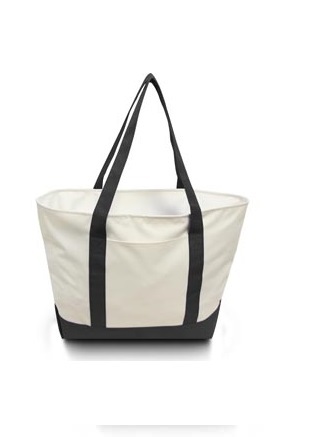 Liberty Bags 600 Denier Bay View Zipper Boat Tote with Contrasting Handles. 600 denier polyester. Contrast handles and trim. Self fabric handles with reinforced box stitching. Interior accessory pocket and key fob. Large exterior pocket, 50% recycled material. Stands upright with a flat bottom. One Size: 22.5" x 15.5" x 7". Colors: Black/Black, White/Black, White/Forest*, White/Navy, White/Red, White/Royal. *Colors ship from Irwindale, CA. WARNING: This product can expose you to chemicals including Di(2-ethylhexyl)phthalate (DEHP), Di-n-butyl phthalate (DBP) which is/are known to the State of California to cause cancer and/or birth defects and other reproductive harm. For more information, go to www.P65Warnings.ca.gov.